Tuesday night I wanted to catch a glimpse of Comet Pan-STARRS as it made it's appearance in the night sky, just after sunset. 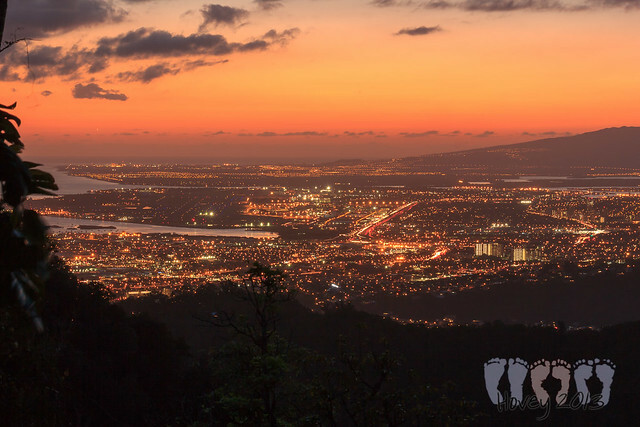 I took Hōkūle`a with me and we headed up in the hills above Honolulu, to the trail head for the Kalawahine trail up on Tantalus (Pu`u `Ōhi`a). Hōkū and I enjoyed the sunset and the crescent moon while I set up to try and catch the comet. 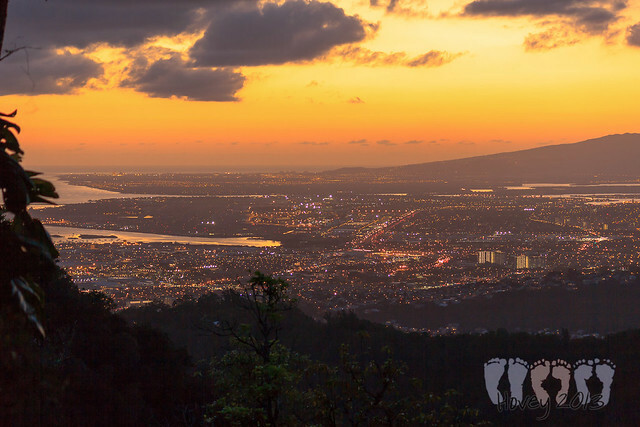 The view from Tantalus is amazing! 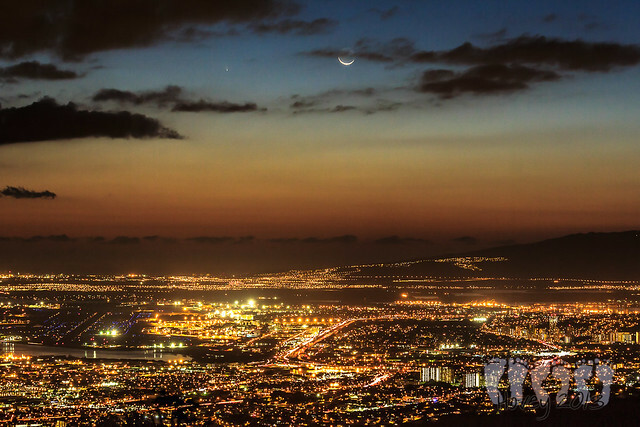 Looking west towards the airport and Kapolei. We stayed for about 45 minutes straining to see the dash of light in the sky. It was cold (65° F!!! 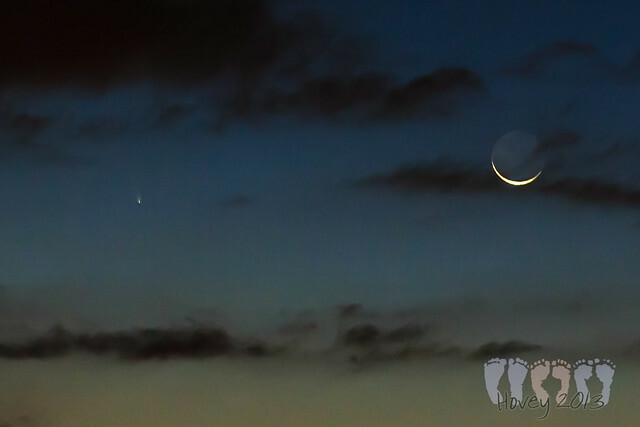 ), and I didn't see any comets, just the city lights and the sliver of a crescent moon. But... When I got home and went through some of the photos...there she was! The Pan-STARRS comet! I'm grateful that I was able to witness this once in a lifetime sighting. Comet Pan-STARRS will not be around for another 106,000 years!